But what do you think? 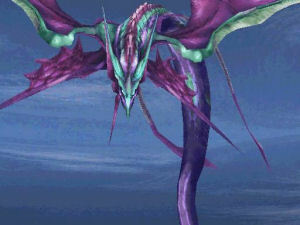 Should a leviathan be more sleek? And what kind of reproduction should they have? Feel free to discuss any sort of leviathan/sea serpent/ect. Just trying to get the topic rolling. Sea dragons for me look more Eastern rather than European - more like a snake. Less interesting personally than the European kind. I wasn't aware there was a western kind. All leviathans I've ever seen where snake-like. Unless you means the inclusion of wing-like fins to be western? I meant European dragons in general not European water dragons... although I'm sure they exist with some folklore. I've seen some of the supposed real photographs of sea serpents and sea monsters that have washed up. They all resemble either snake like things or plesiosaurs. If your talking about art I've always found the Kraken Dragon hybrids to be interesting but I do like the more traditional ship swallower beasts. Aracth'nil wrote: I meant European dragons in general not European water dragons... although I'm sure they exist with some folklore. Ah, okay. We were talking sea dragons, so I got confused. And yeah, Loki. 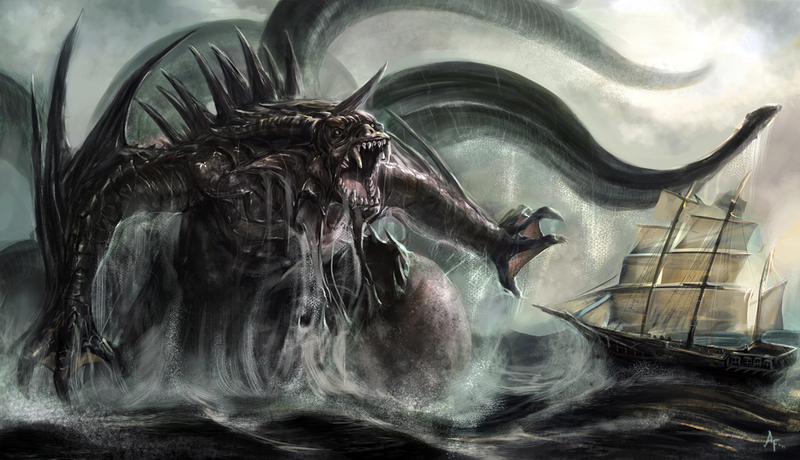 The massive beasts of the sea that can swallow ships whole are certainly terrifyingly majestic. I guess the questiion then is, what percentage of sea dragons, serpents etc. are a hide shine, like Mallis, Despina, compared to reinforced scales on similar type creatures, that go into the deepest parts of the seas and oceans. I wouldn't even know where to start to find a percentage, Aquilla.